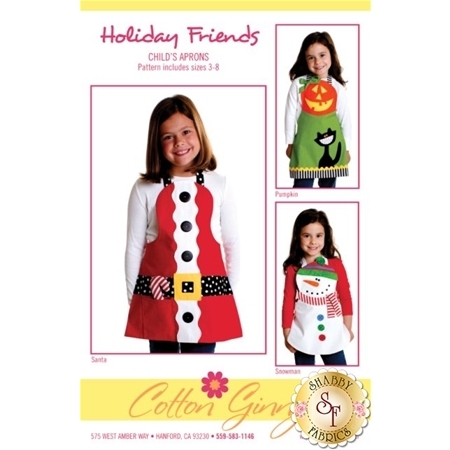 Bring some festivity to the holidays with one of these fun aprons designed by Cotton Ginnys! These are easy and enjoyable to make as well as great gifts! Pattern includes Santa, snowman and pumpkin. Sizes 3 thru 8.